Hey! Welcome to London Poster Printing! We’re your local printers in London that offer a premium, same day, quality poster printing service for business, academia and personal use. Guess what? we actually print in London, all same day posters are printed on-site at our state of the art printing facility in North London and our friendly and knowledgeable team are at hand to assist with any of your queries or concerns that you may have been before placing your order. Reach out to us via our chat facility, email or call us on 020 7193 4514 to discuss your poster printing needs. 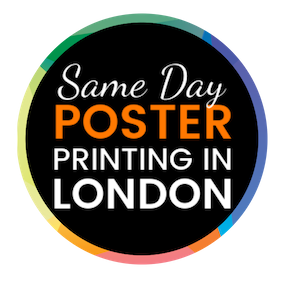 We’ve been similar situations, your presentation is looming and you’ve left the design and printing of your poster to the last minute, well that is where London Poster Printing can really help! we are well rehearsed with these type of scenarios and for that reason offer a same day poster printing service for students at no extra costs or hidden charges. Check out our FAQ’s section with answers to the most common questions asked by students. 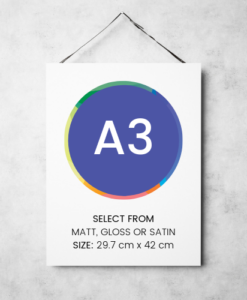 Select from A0 poster printing, A1 poster printing, A2 poster printing, A3 poster printing or last but not least A4 poster printing. The A4 poster printing size is 297mm x 210mm and is mostly used for on-site marketing or door-to-door. Please contact sales@londonposterprinting.com for special offers on these. London is chock-full of business, projects, trade, events and customers with different preferences and needs. Hence, for reflecting these; useful promotional posters are essential, and we have got it nailed; making us poster printers that London promoters choose. We are not only flexible and efficiently produce the most beautiful poster printing that London has to offer, but we also do this is in affordable packages with same day collection services. London Poster Printing offers various services within the poster printing in London. Whether you are a student, a franchise owner or a corporate manager, we are renowned in providing same day poster printing services to a wide range of clients. We offer fast, reliable and cost-effective services with same day delivery. With our highly skilled and experienced printers, we produce perfectly finished and beautifully printed posters, believing that this reflects the image our clients wish to project their work or organisation. With our team of skilled print specialists, we can print and deliver everything you need from business or brand promotions through to marketing collateral, training material and exhibition graphics on posters. We have years of specialist experience in providing innovative poster printing solutions for an extensive array of purposes such as marketing suites, trade shows, retail displays, exhibitions, the point of sale, office and hotel receptions. Our quality is superb, our service is second to none, our turnaround is fast, and most of all our prices are very competitive. We are trusted by our clients for being a reliable and beautifully printed poster provider. We work with Medical College and University Students, Corporate Marketeer, PR Agencies, Advertising Agencies, Artists and all other Public and Private Sector corporate organisations that require full-colour graphics and displays at competitive prices with same day poster collection. We are London’s favorite same-day large format printers. 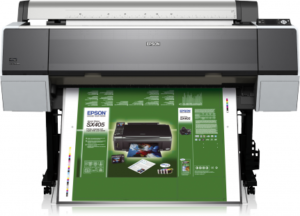 We print the highest quality A0, A1, A2 & A3 posters on our 8-color Epson Stylus Pro HDR 9900 Inkjet Printers with built-in colour calibration. You may like to order your budget online for poster printing, standard or premium option before 2 pm (Mon-Fri) & collect in person the same day without any extra charges. When submitting artwork, please make sure your file is saved in a print ready format – PDF, this will ensure your artwork is printed as beautifully as the design you have submitted. Our Posters sizes are Ideal for massive marketing exposure, creating a full-colour design printed on 200gsm satin, photo-glass and matt papers. 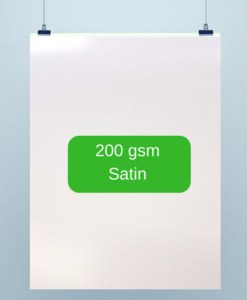 When your posters need to withstand the elements, our Roller banner printing packages are the sturdier choice, using Roland sp540v ECO solvents for extra durability. When you need a large number of posters, our long-run service provides a large number of posters at a great value. Because we understand the poster printing London businesses need, our packages are available in varying sizes and quantities with same day collection services in London. Feel free to pop-in should you require any advice about our products or services. However, for the fastest possible service, we recommend to order the poster print online first, and then pick up in a store near you.